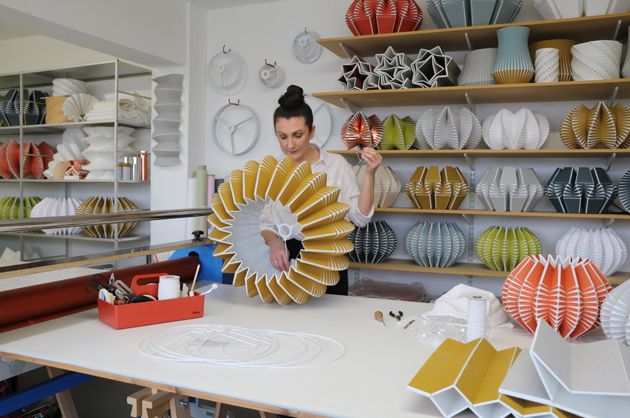 Driven by a passion for material innovation and organic structure Ciara O’Neill makes exquisite sculptural lighting that celebrates the subtle interplay between light and shade. 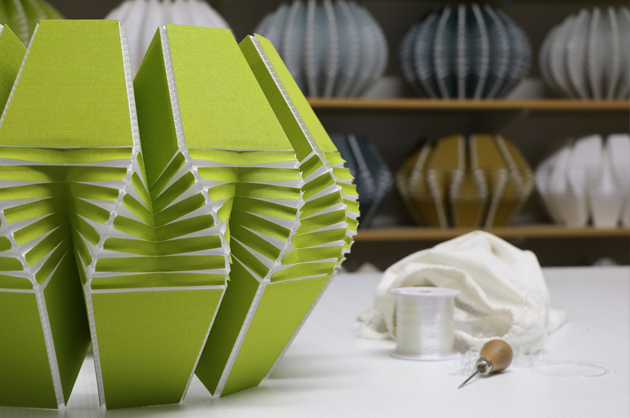 Founded by Irish designer Ciara O’Neill in 2012, our East London studio and workshop manufacture entirely by hand in small batch quantities for both residential and commercial interiors worldwide. 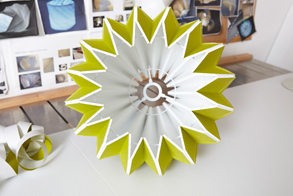 Our signature lighting collection consists of three designs, Vault, Spine and Frond. 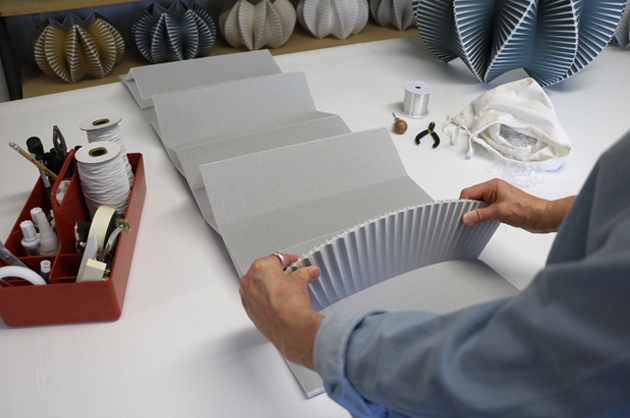 Each lamp is handcrafted from corrugated polypropylene, a strong, light weight, heat resistant and fully recyclable polymer. 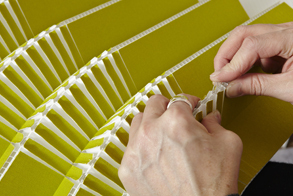 The polypropylene sheet is laminated in-house with fabric or metallic vinyl. 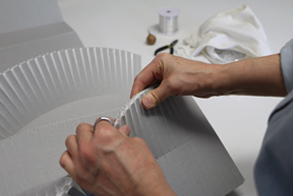 We then apply our pioneering cutting and forming technique to skilfully manipulate it’s fluted structure. 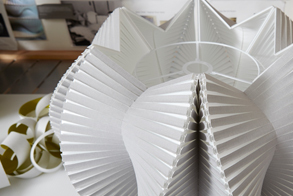 This process creates a flexible, multi-layered and tactile material that once assembled reveals it’s dramatic light diffusing properties. With a distinctively modern Scandinavian aesthetic our striking designs work beautifully in both traditional and contemporary spaces. The size options available allow for endless creative possibilities. Larger pendants make a unique sculptural statement in any room while smaller pendants grouped over a kitchen island or dining table create an atmosphere of intimate elegance. Our lights are also frequently used by architects and interior designers to add visual impact to commercial projects.